Facebook won’t allow me to remove the expand interests option from my saved audience in Ad’s Manager. This is resulting in a huge increase in Audience over 200x to be exact! This makes my target audience incredibly large. The ad’s are not converting well at all and I don’t know how to remove the extra expand interest audience. 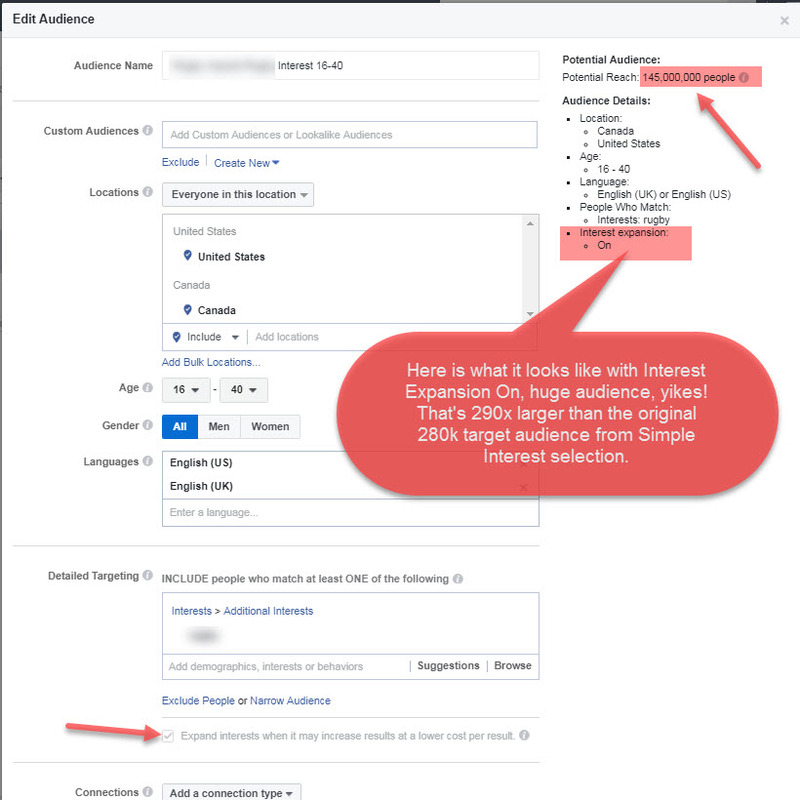 How do I get rid of the Expand Interest option in Facebook Business Manager? 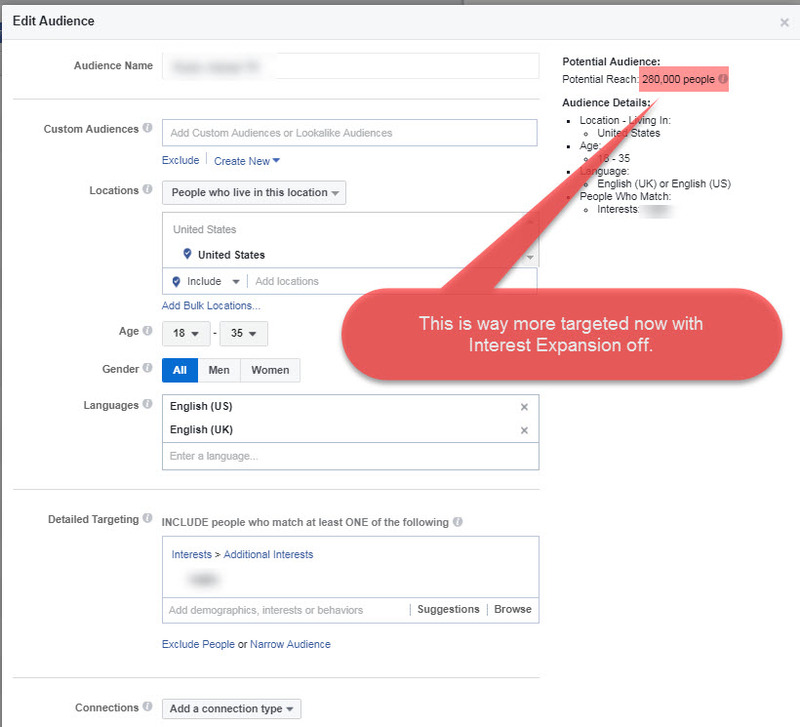 To remove the Interest Expansion you’ll have to create a new Saved Audience and make sure Interest Expansion isn’t checked. Go back to your Ad Set and update it with the new Saved Audience you created. This is a common issue I’ve seen with client managed FB Ad’s and a quick fix to maintain the integrity and focus of your targeting. I haven’t come across an account where this feature makes sense.